The merriment of Christmas can be enjoyed throughout December at NagaWorld. The five-star establishment rolls out various festive-themed promotions and activities for its loyal patrons. With a Christmas tree decked out in colourful tinsel and lights in the lobby as a grand centrepiece, the hotel and entertainment complex is decorated to usher in the festivities. 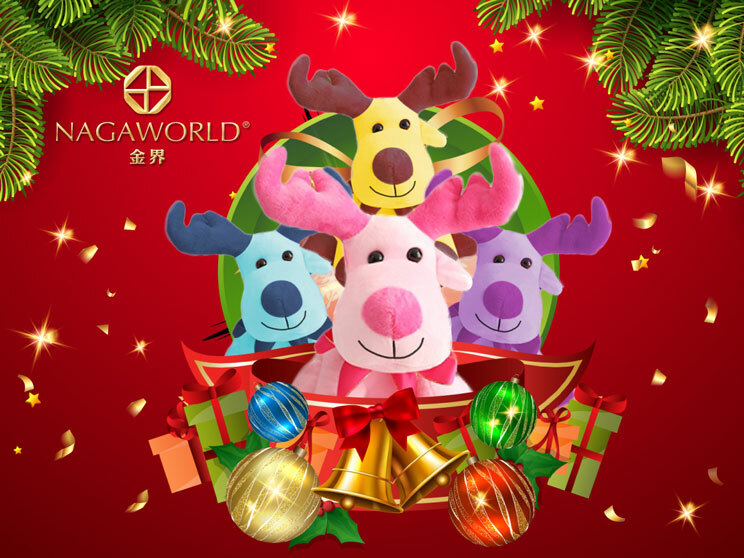 Staying true to the tradition of giving, NagaWorld will give away free limited edition reindeer plush toys to customers spending over $50 on a single receipt at any one of its 20 food and beverages outlets, while stocks last. 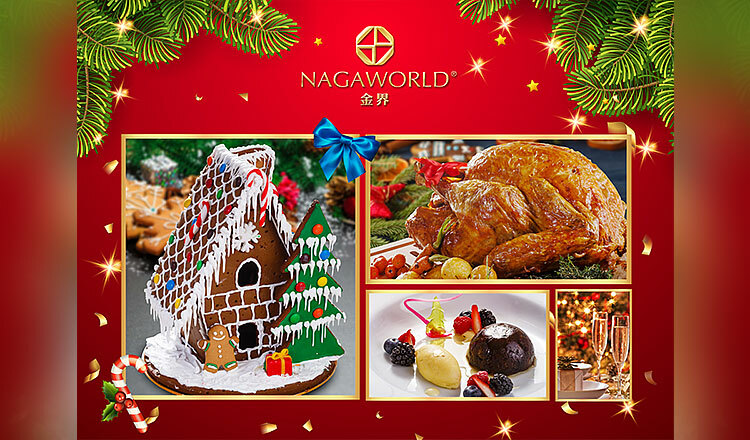 The festive theme continues at NagaWorld’s Lobby Lounge and Food Pavilion with a multitude of delectable Christmas goodies available for purchase every day, like cakes, cookies, candy and more. If you’re looking for free entertainment, head to the NABA Theatre on the second floor of Naga2. A special holiday performance will be showcased at Cambodia’s first video mapping theatre from 8pm every Thursday to Sunday, as of December 1. 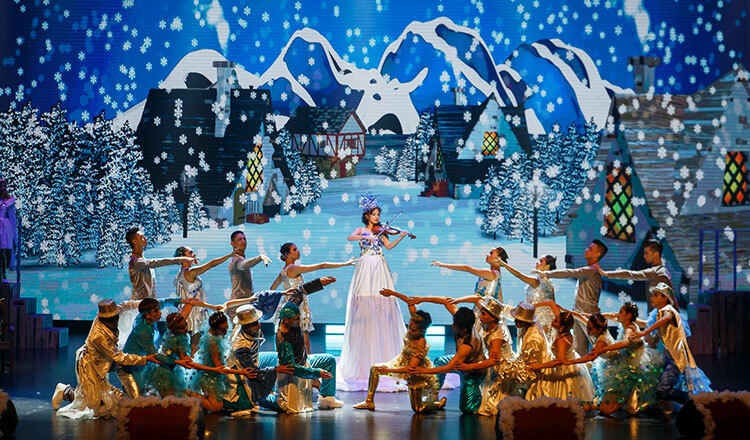 The 45-minute show, entitled Viva X’mas, centres around a girl’s magical journey into a Winter Wonderland. It features international talents from the Philippines, Colombia, Cambodia and other countries, and combines almost every discipline of the performing arts, including singing, dancing, and acrobatics. It is suitable for both children and adults alike. Viva X’mas free show at NABA Theatre. Be sure to collect your free tickets at the NagaWorld counter 30 minutes before show time and grab a special photo session with Santa Claus in the foyer. You can also enjoy a festive snow party there after the show. A Christmas experience would not be complete without a huge feast. Lucky for you, there are various food promotions over the festive period at several of NagaWorld’s food and beverages establishments. Award-winning Bistro Romano offers traditional yuletide dishes like roast turkey with chestnut stuffing and flaming Christmas pudding from December 17 through 25. Grab a free reindeer plush toy in 4 colours! Alternatively, guests can opt for a sumptuous four-course dinner on Christmas Eve, Christmas Day, and New Year’s Eve at Le Gourmet. Buffet-lovers are not left out with 2Pangea, a 2018 World Luxury Restaurant Award winner, offering a special festive spread on December 24, 25, and 31. Guests who wish to take their New Year’s Eve celebrations up a notch on December 31 can book an exquisite set dinner at the award-winning Hall Of Golden Chimes, where they are sure to get the best views of the outdoor festivities when the clock strikes twelve. 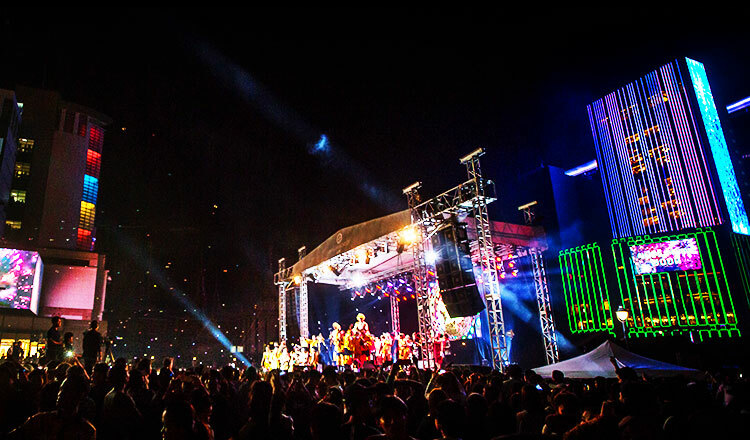 This includes NagaWorld’s massive outdoor New Year Countdown Concert at Hun Sen Park, free for all with local celebrities and international talents performing live from 10pm. Spectacular Christmas show at NABA Theatre.